BadgerLink: Online index to thousands of magazines and newspapers. Many of the articles are available in full text. 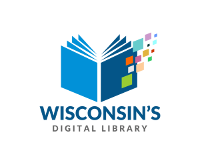 It is a project of the Wisconsin Department of Public Instruction (DPI), Division for Libraries, Technology, and Community Learning. HeritageQuest: Genealogy records and books, including census data, local histories, tax rolls, cemetery lists, etc. Recollection Wisconsin: Images and historical resources from the collections of libraries, archives, museums and historical societies across Wisconsin, covering history, culture, government and industry. WorldCat: Records describing books and other library materials from around the world. Find items you are unable to find in LINKcat.